ATLANTA (May 18, 2006) — With summer around the corner, many people are scrambling to lose weight before bathing suit season arrives. There are hundreds of fad diets promising quick weight loss. Although drinking a special drink or eating only one type of food (or cutting out certain foods) may help you lose weight at first, it’s not likely to keep the pounds off over the long-term. This summer, instead of focusing on the deprivation of favorite foods, why not make a few simple changes to your diet? For example, replacing full-calorie cranberry juice with light cranberry juice can save 140 calories a day. If that kind of calorie savings is maintained every day, it could result in a 15-pound weight loss at the end of the year. Choosing sugar-free chocolate will save 50 calories a day and translates to 5 pounds over the course of a year. Products sweetened with low-calorie sweeteners such as sucralose (a low-calorie sweetener known as Splenda) allow consumers to enjoy their favorite foods and beverages without extra calories. “By making simple substitutions in the diet, such as using low-calorie and sugar-free products in place of full-calorie products, consumers are able to lose weight without sacrificing their favorite foods and beverages” says Beth Hubrich, a registered dietitian and Executive Director of the Calorie Control Council. 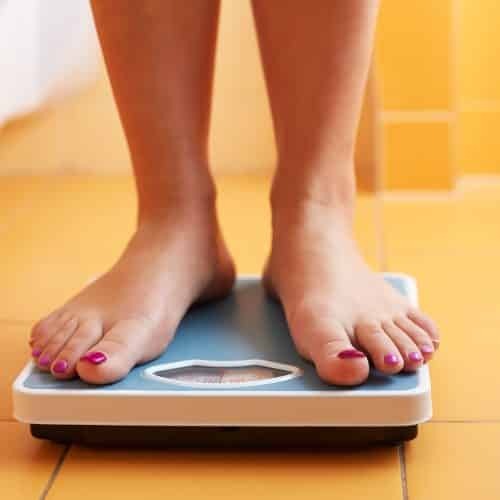 “Controlling portions and adding activity are also effective ways consumers can make small changes that will help them lose weight without feeling deprived,” adds Hubrich. Incorporating sucralose into favorite recipes is also a good way to reduce calories. Using sucralose and light cranberry juice in the Berry Simple Smoothie, provides a sweet treat for the summer for only 70 calories. In addition, top summer salads with the Spicy Peanut Dressing for a lot of spice without a lot of calories. Bathing suit season doesn’t have to be a scary thought this summer. By making simple substitutions now, significant pounds can be gone (and never found again) by summertime and beyond!